By the start of the new year, you were probably tired of seeing articles about winterizing your home. Although preparing your home for winter is important, it’s not quite as exciting as the thought of Easter just around the corner. If you want to enjoy this spring to the fullest, there are a few things you should do around the house as winter winds down. Start by inspecting your home for damage caused by snow, ice, and other winter hazards, then repair any you find. For instance, cracks in cement steps may have developed or widened as melted snow seeped through, froze, and expanded. You should also check your roof, gutters, trim, chimney, and hose faucets. Between melting winter snow and fresh spring rains, your foundation can all too easily fall victim to water damage. To protect your foundation, clear any debris from your gutters and make sure they drain away from the house. Walk around the outside of your home and look for places where water might pool. Fill in lower areas and level out your yard as much as possible, and avoid planting anything too close to your foundation. Also make sure that any flower beds slope away from the house and do not cover the foundation. If there is one upside to the chill of winter, it’s that it usually means fewer problems with bugs and other pests. As spring approaches, you will need to take steps to ensure that new life doesn’t make its way into your home. For instance, you should move any firewood or junk off the ground and away from your house. As snow and ice melt, the damp wood will become the perfect breeding ground for insects. The same can be said of the aforementioned puddles that threaten your foundation. Indoor air quality is one of the biggest keys to a healthy home — and one of the most neglected. Many symptoms of poor indoor air resemble those of a typical winter cold and can easily pass unnoticed. Getting an indoor air quality assessment can help you pinpoint problems before allergy season hits, allowing your family to breathe easier this spring. During the transition from winter to spring, don’t forget to give the inside of your home some love. Incorporate any tasks you’ve been putting off, such as wiping down fan blades or washing your windows, into your spring cleaning. While you’re deep cleaning, declutter and reorganize any messy areas in your home. 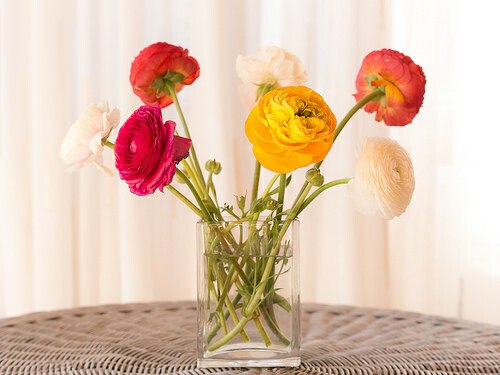 Top it all off with pops of spring color in the form of new linens, seasonal decoration, and fresh bouquets of flowers. While you may have been ready for spring weeks ago, your home may need a little work to get it on the same page. Follow the guide above to shake off the last vestiges of winter and bring your home into the new season. Whether you decide to block off an entire weekend or tackle one task at a time, your home is sure to be spring-ready by Easter.